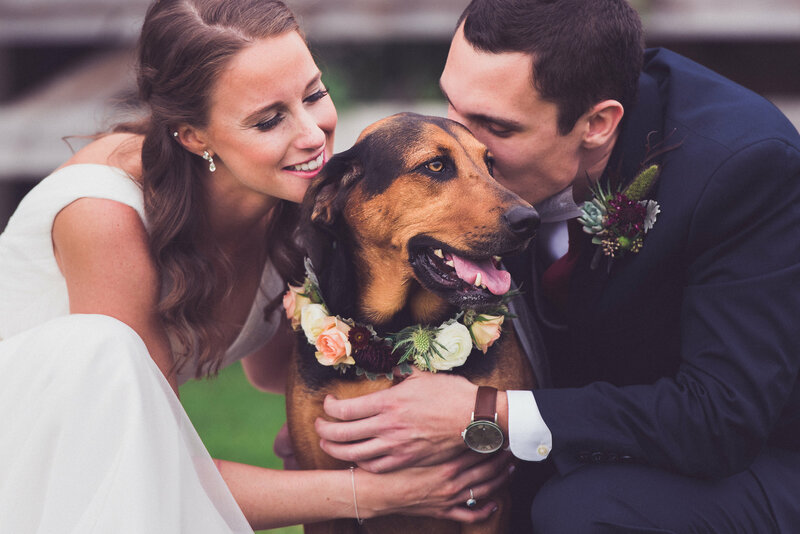 This October wedding at Gibbet Hill in Groton hit all the sweet spots: a backdrop of green, rolling hillsides, a garland-draped trellis (built with love by the bride’s father), an adorable Dog-of-Honor, and of course these to-die-for florals. 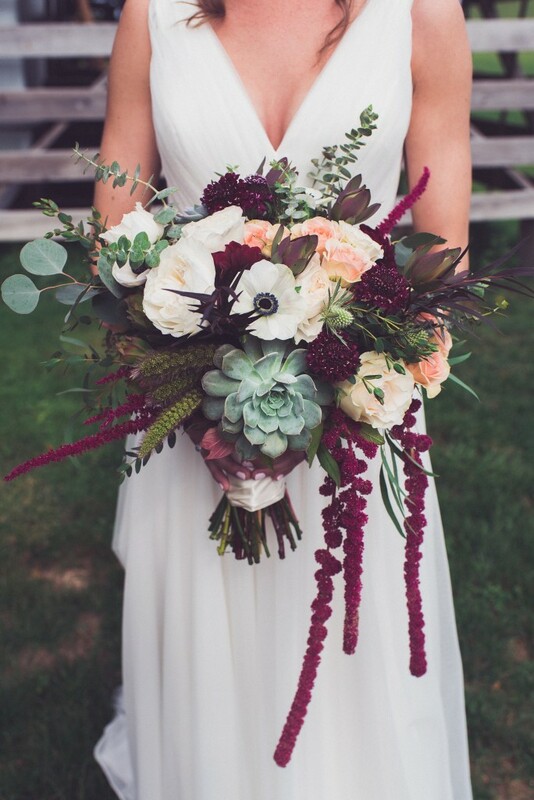 Succulents, eucalyptus, garden roses, anemone, scabiosa, locally grown dahlias, and draping amaranthus made up the bridal bouquet, while the maids carried primarily succulents with greenery and just a touch of burgundy flowers. 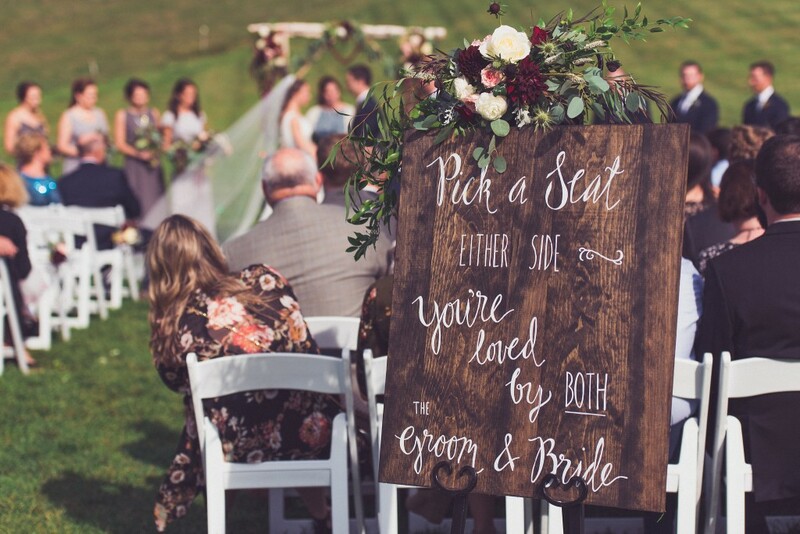 It’s hard to imagine a more perfect wedding day! These amazing images are courtesy of Sara Smile Photography. 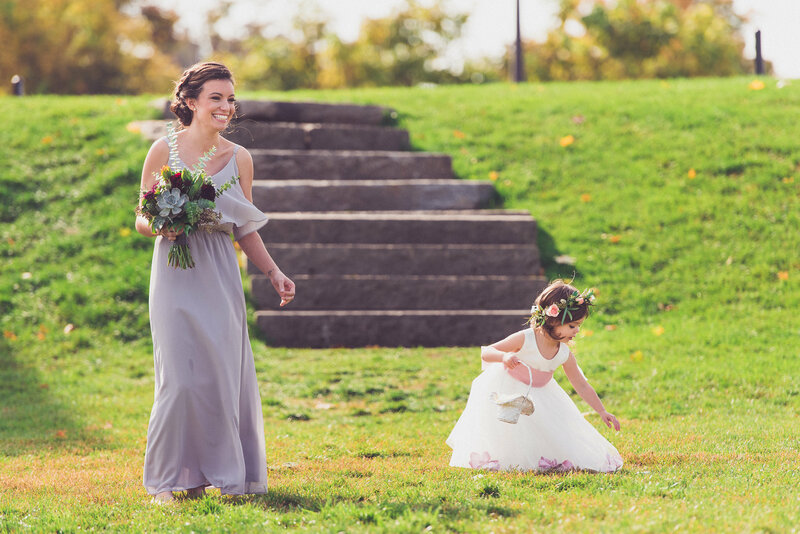 Image by Sara Smile Photography. Lola is wearing a custom floral dog collar designed just for her! Image by Sara Smile Photography. 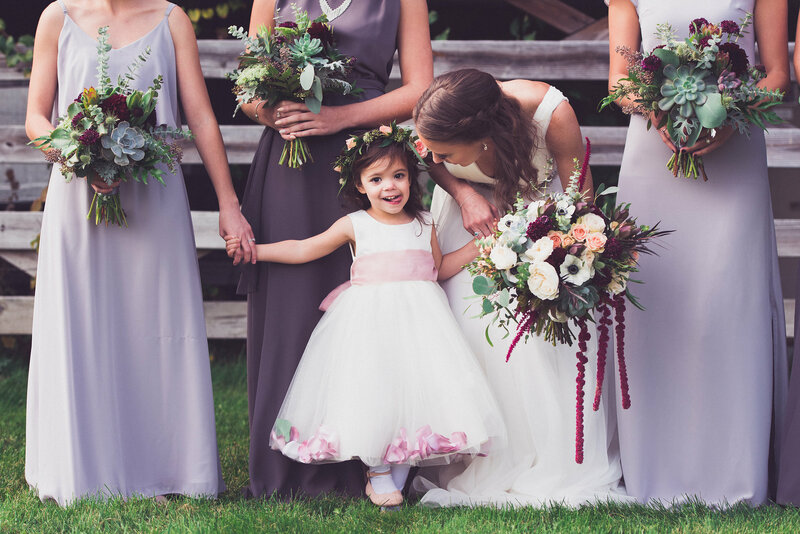 A special moment with this adorable flower girl. Image by Sara Smile Photography. 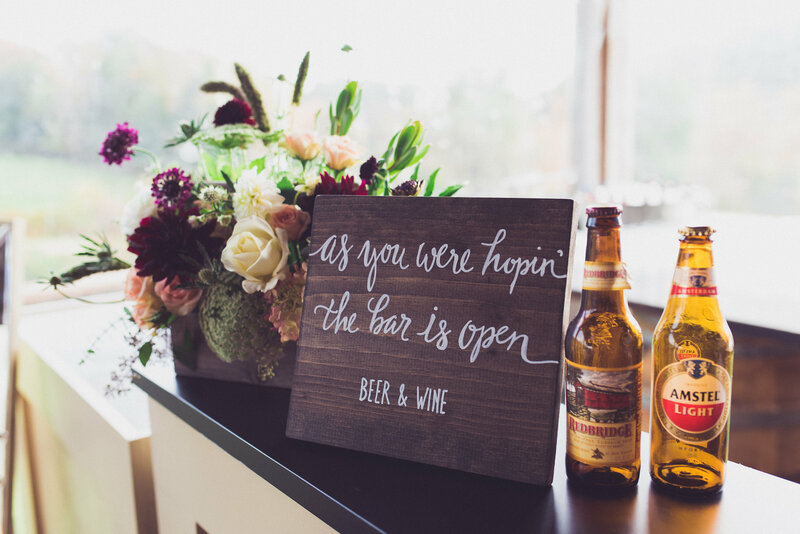 Coordinating florals in a rustic wood box adorned the bar. Image by Sara Smile Photography. 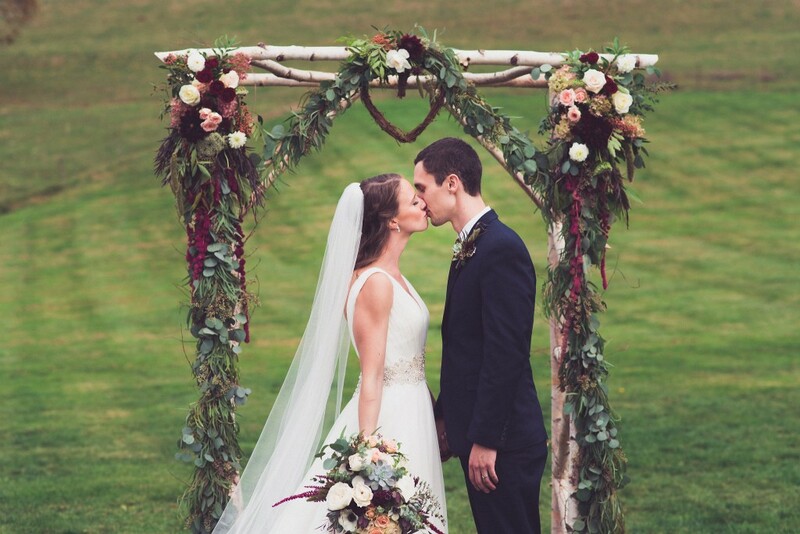 The bride and groom share a kiss in front of this spectacular trellis. Image by Sara Smile Photography. 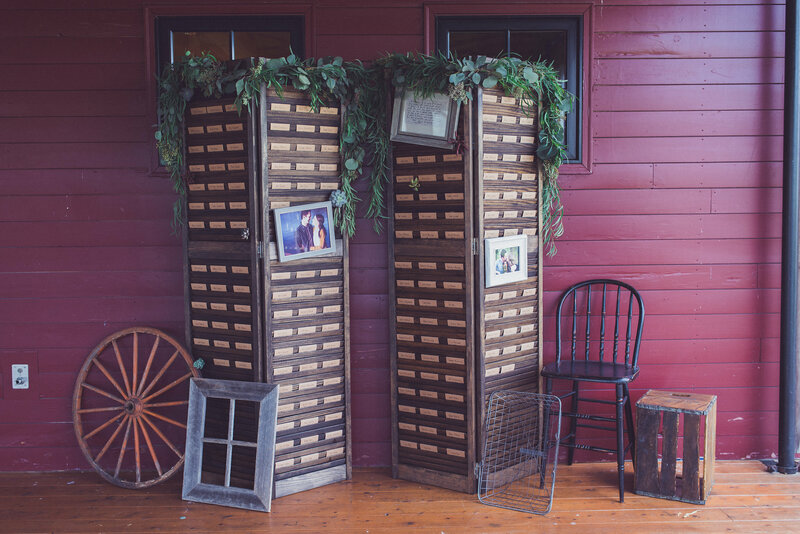 Handmade garlands of eucalyptus topped off this unique place card display. Image by Sara Smile Photography. A princess and her crown! Image by Sara Smile Photography. 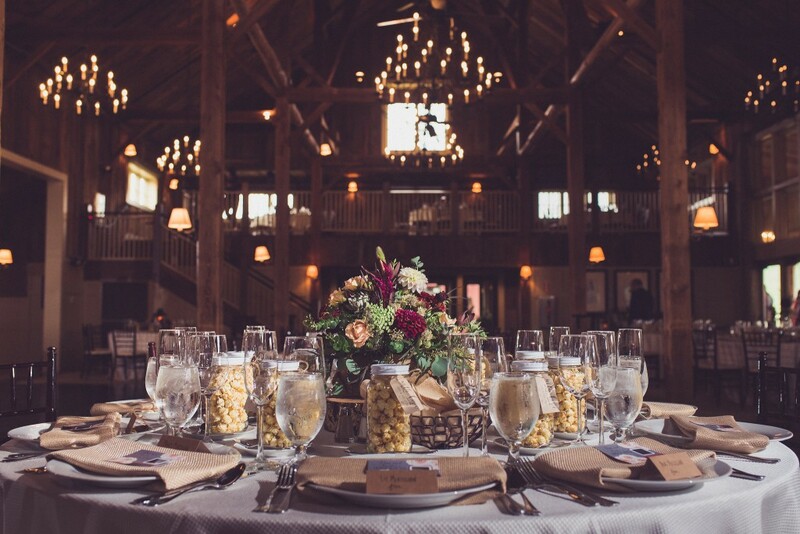 Centerpieces perfectly complement the barn setting. 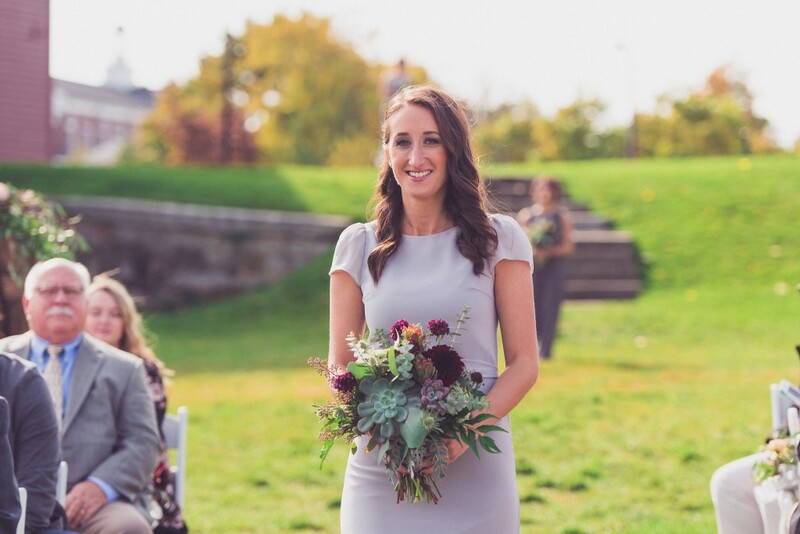 Image by Sara Smile Photography. 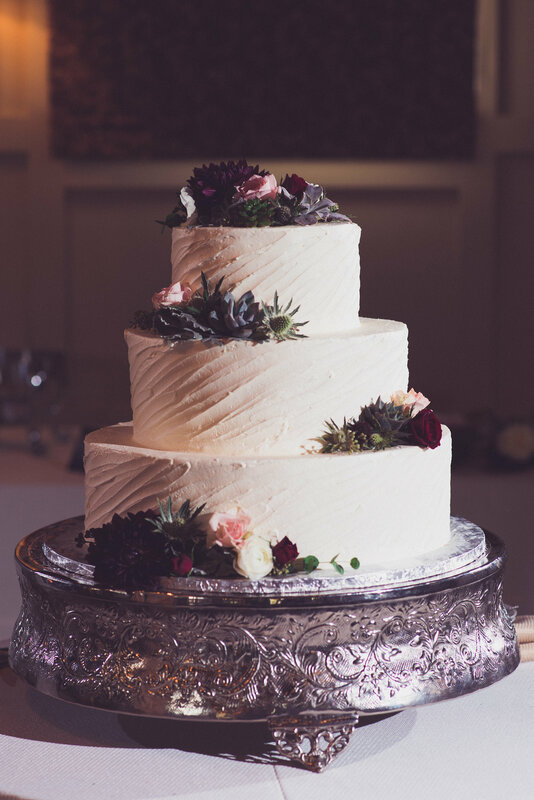 Cake by Image by The Bean Counter and Image by Sara Smile Photography.